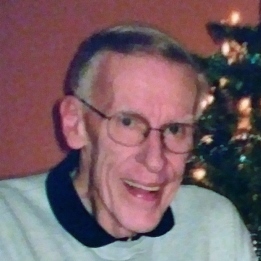 Samuel L. Lavoie, 83 of Bristol, passed away on Wednesday January 16, 2019. He was born on January 24, 1935 in Waterville, ME, the son of the late Samuel and Albertine Lavoie. Samuel retired from the American School for the Deaf as Chief of Security and was a US Army veteran of the Vietnam War. He was a dedicated husband and father who adored his grandchildren. He loved vacations with his family and the occasional golf game. He is survived by his wife Pamela (McKearney) Lavoie of Bristol; his three children, Nicole and her husband Mark Lacic, Matthew Lavoie and Kristen Lavoie all of Bristol and his grandchildren Ethan, Madison, Amelia and Noah. Calling hours will be held on Monday January 21, 2019 from 4 PM until 7 PM at O’Brien Funeral Home, 24 Lincoln Ave., Forestville/Bristol. Funeral services will be held on Tuesday January 22 at 9:30AM from O’Brien Funeral Home to St. Gregory the Great Church for a Mass of Christian Burial at 10:30 AM, followed by military honors. Burial will be at the convenience of the family.